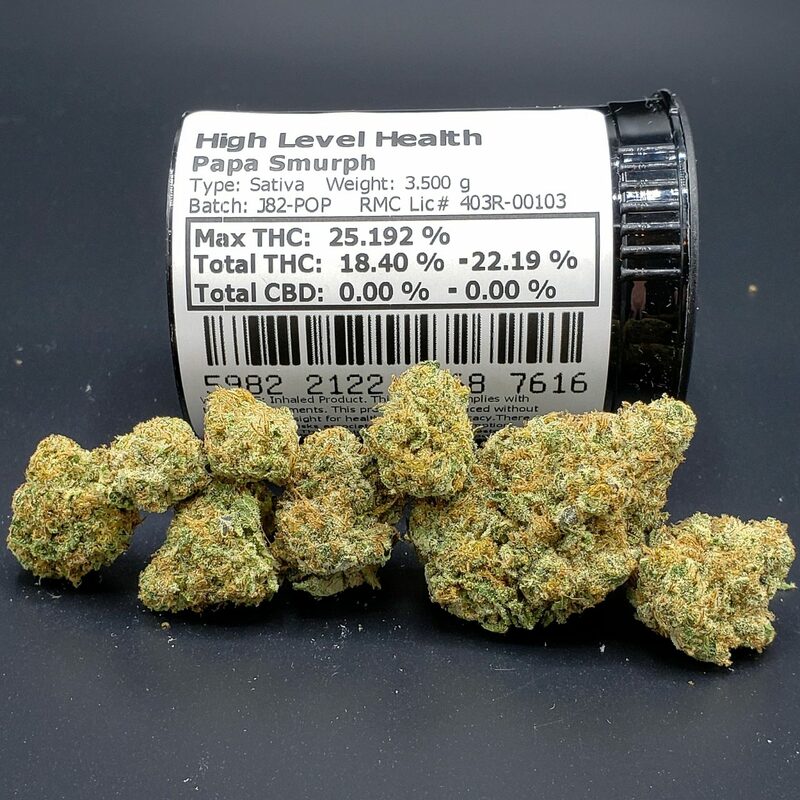 Description: Papa Smurph is a nice and well-balanced hybrid with the great smell and taste of the strain Flo. Its effects are equally felt in the head and body creating an overall sense of well being. Great to share with friends.